products on a frequent basis. Combrig models are made of resin, not styrene plastic, and are for the relatively experienced modeler. the Combrig HMS Banshee essential in the history of the first destroyers. originally known as the 30-Knot Class and latter the B Class. It is a must for fans of British destroyers. released in the future, in particular a Buyan-M (Project 21631) missile corvette variant. set, including railings, excellent resin casting and much improved instructions. disruptive camouflage applied to these boats. this scale and is highly recommended. Bustelo always found this ship very interesting and his wish for a 1:350 scale kit was finally fulfilled. choice for a first resin ship model kit. very good release from Combrig, marred only by the omission of ratlines from the photo-etch. some pretty cool subjects from which to choose. and other modern Soviet/Russian ships. Russian/Soviet warships and submarines available in 1/350 scale. modern Soviet/Russian ships, you will need a Yakhont in your fleet to keep your naval base clear of mines. ill-fated Imperial Russian Navy and one that was very handsome. frustrating, but it you have an interest in ships of this time period than it should not stop you from acquiring this kit. welcome addition to modeling a 1:350 scale Imperial Russian Navy fleet. scale, especially one as lovely as Aurora. limited amount of photo-etch brass. generic brass fittings is included, this is easily remedied by any after-market fret. have impressive model of this ship that blew up at Jutland on May 31, 1916.
contains not only finely detailed and crisp resin part but a huge relief–etched brass fret. but the instructions are wanting. and a plethora of platforms be described as ugly? build a resin and brass version of one of the victors of the Falklands . almost all brass parts are generic such as inclined ladders and railing. spoiled everything. The multimedia kit gives you the parts to build either the 1909 or 1912 fits. the Danton that provides all of the parts for this large battleship. Nisshin, Japanese Armored Cruiser, 1904- Garibaldi Class, Click for Photographic Preview. Novik, Protected Cruiser 2nd Rank, 1902, Click for Photographic Preview. Askold, Five Stack Protected Cruiser, 1904, with Photo-Etch Click for Photographic Preview. Retvizan, American Built, Imperial Russian Battleship, 1904, with Photo-Etch. Free Time Hobbies would say, Go Dawgs!!! Or is it a Yellow Jacket for the Blue Jackets? s navy but sunk by Stukas, comes with a very large relief-etched brass fret and a host of fine resin parts. the High Seas Fleet and there is no better starting place than the SMS Oldenburg. cruiser mania and introduced battle cruiser madness. something to be desired. The ingredients are present for a fine model of the first German battlecruiser. superfiring 12-inch gun turret aft and the inclusion of glorious flying boat decks. finely detailed resin parts but no photo-etch. are still usable with patience and cross referencing the included plan and profile drawings. in the world. Now, thanks to Combrig, 1:700 models of these giants can grace the Home Fleet of any modeler. Combrig releases, the Drake should prove an easy build. Danton provides excellently produced resin and brass parts to model Danton in all her eight turret, five funnel, top hat cap glory. Hood 1893 kit is a good kit in spite of a few blemishes. 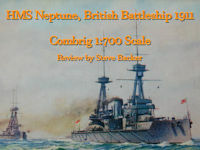 scale from Combrig in the 1918 fit of HMS Marlborough. Fleet through 1916. The HMS Iron Duke had classic good looks and Combrig has reproduced those looks in this 1:700 scale kit. promise is there. On completion the modeler will have a truly unique show stopper. Berkut A, the NATO codename for the design was Kresta II. two twin 25mm gun positions, which were only found on the Type IV variant. What more could a growing Gator want? superstructure forward and smaller aft superstructure. single SA-N-7 mount aft, with Photo-Etch. and Decal Sheet Shown. Photo-Etch Fret and Instructions not Shown. Gumanenko, Minesweeper 1994 - Pr. 12660 Gorya - Click for a preview of the Admiral Gumanenko. used by the KGB for guarding the maritime boundaries of the Soviet Union. Petropavlovsk, Pr. 1134B - Click for Photographic Preview. Neustrashimy, Frigate, Pr. 11540, with Photo-Etch. Click for Review. 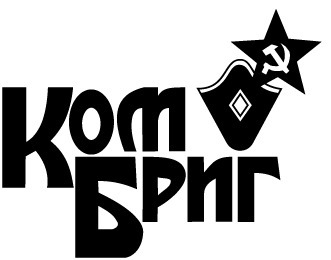 Moskva, ex-Slava, RKR, Pr. 1164, with Photo-Etch & Decals. Click for review of the resin components of the Moskva. Azov, BPK, Pr. 1134BF, Click for a Photographic Preview. Ochakov, BPK, Pr. 1134B, Click for Photographic Preview. MPK-44, Ex-Komsomolets Latvii, Small Anti-Submarine Ship, Grisha I - Pr. 1124 Albatros, Click for Photographic Preview. Vitse-Admiral Drozd, RKR, Pr. 1134, Click for Review. Sverdlov, Light Cruiser, Pr. 68bis, Click for Review. Ilmarinen, Coast Defense Ship, Finland - Click on photograph for biography of the ship and photographs of the completed model. 15-Inch/42 guns, Abercrombie supported the US 7th Army at Sicily and Salerno. Click for Review. HMS Royal Sovereign, British Battleship - 1889 - William White designed the classic battleship for the 1889 Royal Navy estimates. The design for this class set the standard design for British battleships until the advent of the dreadnought. Click for Review. her sistership. With a little RN pattern photo-etch, you can build a beautiful reproduction of the last of the monitors. lost at the Battle of Savo Island on August 9, 1942. Kit with Photo-Etch. with excellent operational characteristics all within the 10,000-ton Washington/London Treaty restrictions. With Photo-Etch. USN. Click for review. Kit with Photo-Etch. but is certainly a superb kit for any modeler with resin experience. HMS Swiftsure 1904, British 2nd Class Battleship - Purchased from Chile to Prevent her Purchase by Russia. Kit with Photo-Etch. beautiful model of Admiral von Spee’s flagship at the Battles of Cornel and the Falklands. smallest dreadnought type battleships to be built. the Combrig Blucher is recommended without reservation. of admirers of that most glamorous type of big gun ship, the battle cruiser. positions in the forward superstructure, different shaped turrets and a short forward funnel for the Battle of the Falklands fit. quantity of excellent resin fittings and equipment. Combrig 1:700 scale HMS Monmouth you will get an excellent model of one of Kit Cradock’s doomed squadron. cruiser sank two German light cruisers in distant waters and justified the County class design concept as commerce protectors. complete with net shelves and booms and also an enlarged forward superstructure because she was built as squadron flagship. new and exotic topics to the 1:700 scale modeler and the Project 357 communication vessel surely ranks as an exotic topic. Italia on July 11, 1928. Krasin is still in existence as a museum ship in Saint Petersburg. Kerch, Gajibey Class Destroyer - 1917 As part of the 1914 Naval Program 8 large destroyers were ordered for the Black Sea Fleet. Type D Submarine, Series I (D-2) - The very first Soviet submarine design was the Dekabrist, later D-Class medium size submarines. Sound in October 1917. The model depicts the Slava in her 1917 World War One fit. Click for photographic preview. minelayer. Laid down for Tsar Aleksandr III, the warship was not broken up until 1961. Henri IV 1903, French 2nd Class Predreadnought Battleship. Introduced superfiring gun. model of the Japanese Elswick Protected Cruiser Takasago has all of the bells and whistles for an exceptionally well detailed model. tugboat SS Roland in 1903. 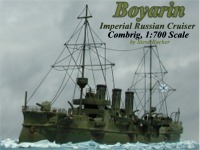 Bayan, Armored Cruiser, Click for components review. Koreets, Gunboat Click on photograph for biography of the ship and photographs of the completed model. integral to the hull and major component castings and an excellent brass ship-specific photo-etch fret. Chile and Peru . Before starting construction, decide which fit that you wish to model. Australia. This historic design was in many ways the forerunner of the Royal Navy battleships at the start of the 20th century. cruisers built for the USN. With Photo-Etch. from the long period of post Civil War decay, the USS Baltimore was one of the ships with Dewey at the Battle of Manila. "C" in the ABCD of the first four warships for the new American Steel Navy. This model is of Chicago after her 1895 to 1898 refit. want to model a battleship in that gaudy livery? the French Rochambeau. The model is easy to build but offers a platform for layers of extra detail. to further enhance the appeal of this product for the modeler. that dare to threaten US interests and critical banana supply. the New American Steel Navy, the USS Boston, protected cruiser of 1887.
scale with their release of USS Vesuvius. German Navy, the only opponents that Gangut faced and which ultimately vanquished her were uncharted rocks in the Baltic Sea.